William Mendoza, executive director of the White House Initiative on American Indian and Alaska Native Education, will participate in Sitting Bull College’s seventh annual Lakhotiyapi (Lakota language) Summer Institute and will convene a roundtable of tribal leaders, students, educators, higher education officials and others to discuss successes and challenges in language preservation. The roundtable will take place at 10 a.m. Saturday, June 14, in the Science and Technology Center on campus. Mendoza will hear about the tribal education department’s efforts to leverage tribal, local and federal resources to preserve the Lakota language. The reoccurring concern that Mendoza and U.S. Secretary of Education Arne Duncan have heard during numerous tribal consultations with leaders in the American Indian and Alaska Native education communities was the importance of language preservation. According to feedback from these sessions, tribal communities believe that it is a fundamental right of people everywhere to be able to speak their native tongue, and there should be no difference for Native people. Administration officials and Secretary Duncan have engaged directly with tribal officials on a range of educational issues important to Indian Country. Today, Secretary of the Interior Sally Jewell issued a Secretarial Order that calls for the restructuring of the Department of the Interior’s Bureau of Indian Education (BIE). The BIE will become a provider of education services and resources to tribal communities operating the schools rather than being a school operator itself, and all BIE-funded schools will become tribally operated. The move will help ensure that American Indian and Alaska Native children are prepared for college and careers, while also giving them more access to language and history classes that honor their heritage. The new organizational changes also will give tribal communities a stronger voice in policy decisions that will affect their students’ educational future. In addition, President Obama’s Opportunity for All: My Brother’s Keeper Blueprint for Action report was released recently, outlining a set of initial recommendations and a blueprint for action to expand opportunities for boys and young men of color and help all young people succeed, including Native boys and young men. The purpose of this WIDA Bulletin is to help educators make connections and provide contexts to deepen an awareness of the complexity and diversity of American Indian students identified as ELLs. To help achieve this objective, several guiding principles are presented that emerged from an interview conducted with Dr. Bryan McKinley Jones Brayboy and American Indians Studies Consultant, David O'Connor. In addition to explanations of each guiding principal, a discussion tool is provided that can be used in your local context about how these guiding principles can impact your classroom and guide your instruction. Dozens of people of all ages and races, many wearing their Easter finest, gathered in the hall outside Sen. Lesil McGuire’s office. The Anchorage Republican and chair of the Senate Rules Committee had the power to put House Bill 216 on the Senate’s calendar. But with end of the legislative session looming, the bill’s supporters worried it was getting caught up in last-minute, behind-the-scenes politics. EUREKA, Calif. — Sitting in a circle in a classroom at Eureka High School here, Tenayah Norris and a half-dozen other students were learning how to express direction in Yurok, a Native American language that nearly became extinct a few years ago. 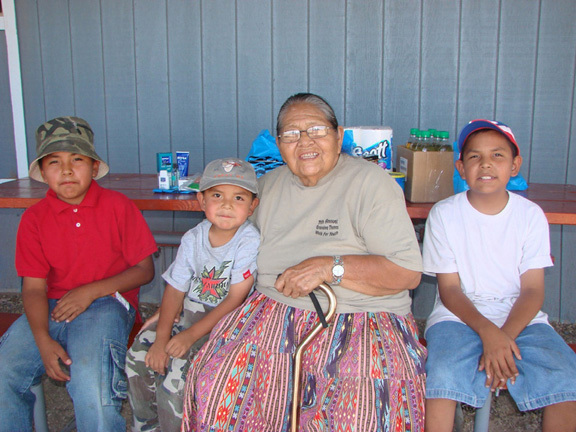 Growing up on the Yurok reservation about 90 minutes north of here, she sometimes heard her grandfather speak it to his contemporaries, and she studied it, on and off, in the community. Eureka began offering Yurok two years ago, bringing to four the number of public high schools in Northern California where the language is taught. Two public elementary schools also offer it, including one as part of a new immersion program. BRIGGS, Okla. — Mack Vann sits in the living room of his single-story home in rural Oklahoma with the television blaring, a news reporter giving details of the latest grisly crime to hit the state. A bill that would symbolically make 20 Alaska Native languages official state languages is heading to the House floor for a vote. Many native American languages have been lost through forced assimilation. 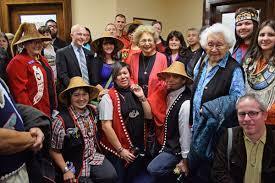 But a new language preservation effort before congress aims to ensure they're never forgotten. The Lakota language is sacred to the people of the Standing Rock Sioux Reservation. But, few tribal members are fluent in their native tongue. A bill before congress could help schools preserve their language. 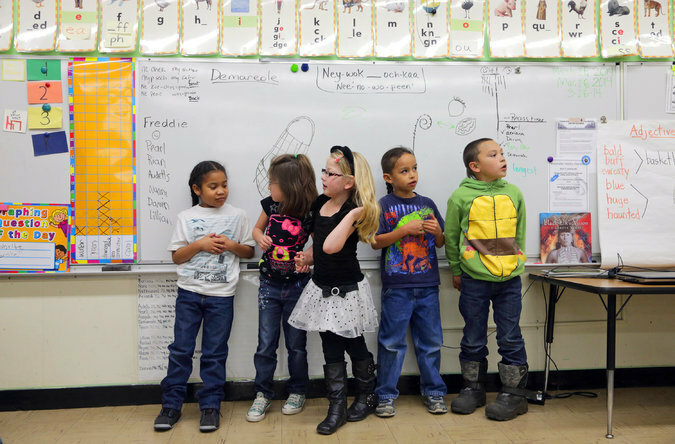 Students at the Lakota Language Nest speak a language that many have forgotten. "We're committed to staying in Lakota. So, what that means is the curriculum, everything that we do is in Lakota language," says teacher Tipiziwin Young. It's a lot like your typical pre-school class. Students make pictures and sing songs. But these students are the building blocks for cultural preservation. "You look at these young kids as the possibilities. They will be the future. And being that they know the language, they'll be able to converse in the language," says Michael Moore of Sitting Bull College. 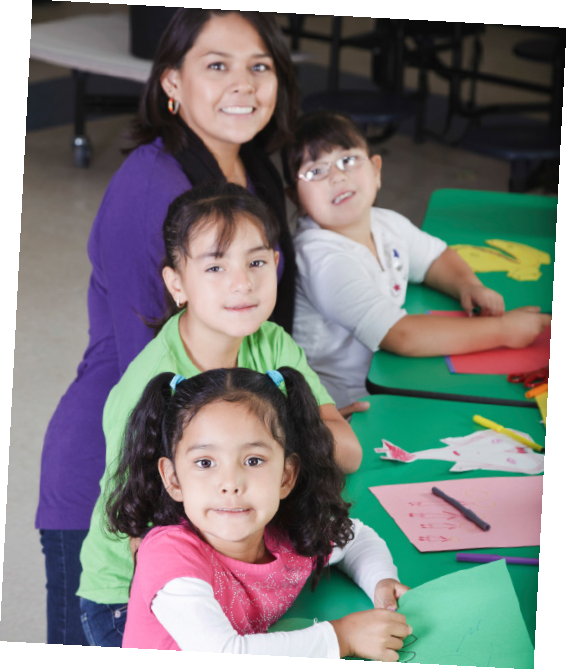 The Native American Language Immersion Student Achievement Act would establish a grant program for preschool through college. And schools like these could benefit from the program. "With the possibility of funding, there is a possibility of more teachers, there is a possibility of a space, the possibility of an expansion of a school, help with the curriculum. There are a lot of possibilities. And that's exciting," says Young. Tribal Chairman Dave Archambault says the Lakota language is sacred. And it's a very real fear that the language could become extinct. "Our language and our ceremony are one. So, when you speak the language, you're actually in the ceremony. So, that's the teaching behind the importance of trying to retain that language. And hopefully, when the elders are gone, the language is not," says Archambault. Young says it's easy to feel like an outsider at spiritual events when you don't understand the language. She says she'll never be a fluent speaker, but it's been a phenomenal experience understanding and connecting to her culture. The tribe drafted a resolution in support of the bill. But they'd like to see some changes. Right now, the grants are competitive. They hope Congress will consider making it formula-funded, so all schools have the opportunity to expand their language programs. Co-authored by Dr. Kathryn Michel of the Chief Atahm School and Cséyseten Language Nest program, the handbook outlines the vision and goals of the language nest model, summarizes research on language immersion at the early childhood level and answers some common questions about bilingualism and second language acquisition for young children. 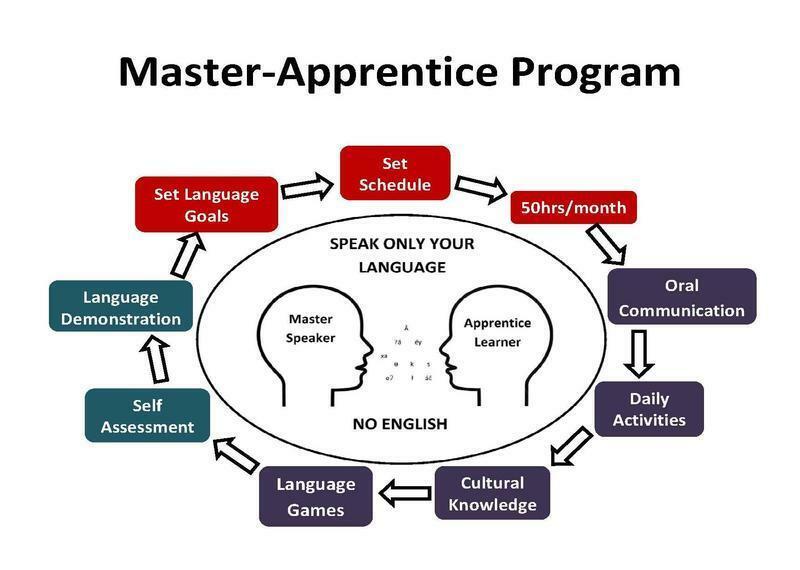 The handbook also provides practical solutions to common challenges in running a language nest program, based on the experience and knowledge of language nest program administrators and experts. A press release is attached.